On day 3 of our Gut Health Series, I'm featuring a comforting and healing soup recipe from Eat Your Way to a Healthy Gut, the latest cookbook from nutritionist Dale Pinnock, also known as The Medicinal Chef. Pinnock believes that making long-term changes to the way you eat is a much more sustainable way of achieving good health than following hard-to-follow diets. 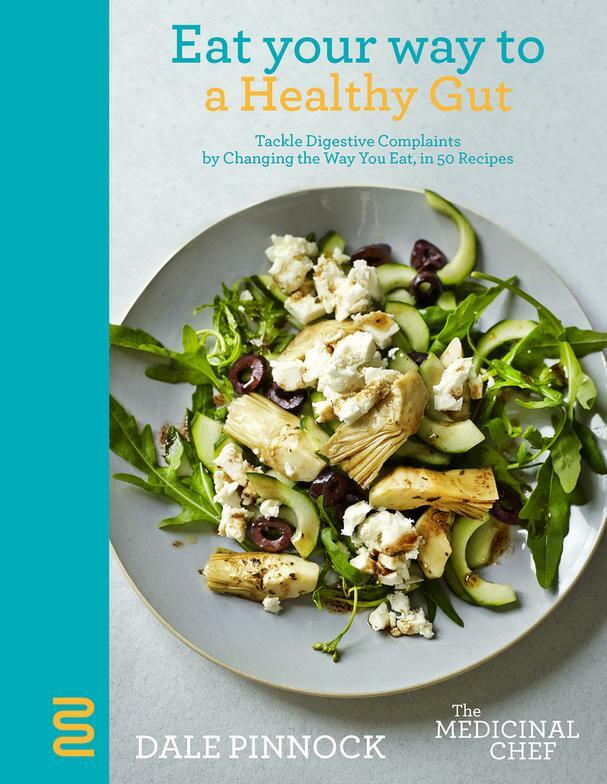 In Eat Your Way to a Healthy Gut, he explains the anatomy and physiology behind common digestive complaints, such as bloating, constipation, food intolerances, IBS, and inflammatory bowels diseases, to show how the body digests different foods and gives readers the tools needed to heal and promote good gut bacteria. The 50 easy recipes are divided into chapters based on the particular gut issue they are meant to address. It also includes an informative guide to which foods to eat and which to avoid to alleviate symptoms. 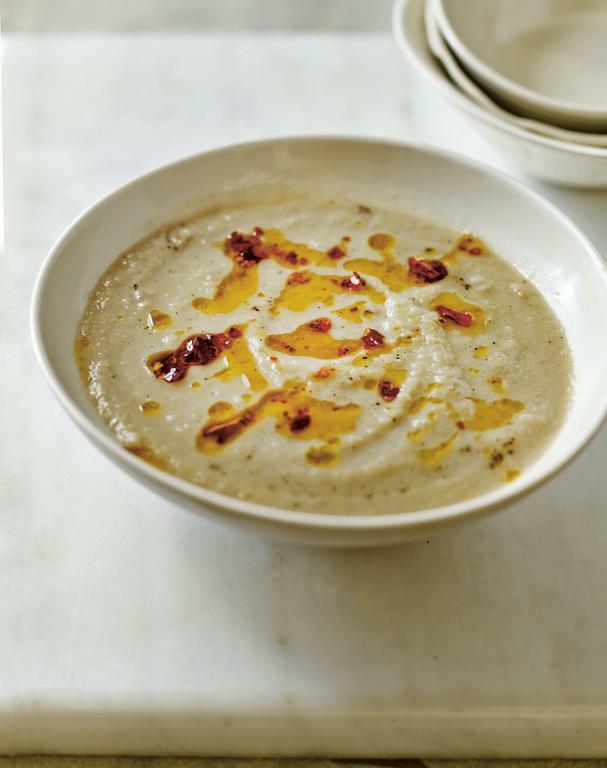 The following recipe for Jerusalem Artichoke Soup (also known as sunchokes) is one of my favorites. It's easy to make (just six ingredients), is so satisfying, and will feed the good bacteria in your gut! It makes a small batch (just 1 to 2 servings), so I say double or triple the recipe and freeze some for later. Don't miss the other gut healthy recipes featured in the series! Get this delicious Middle Eastern–Spiced Walnut and White Bean Balls with Cauliflower Rice and Fried Onion recipe from The Beauty Chef, and Gut Healthy Green Tea Shiitake Mushroom Miso Soup from The Healing Slow Cooker. In a large saucepan, sauté the onion and garlic in the olive oil, with a pinch of sea salt, until the onion softens. Add the Jerusalem artichokes and enough broth to cover. You can always add more if the soup is a little thick, but watery soup is just like gruel! Simmer gently for around 20 minutes, until the artichokes have softened. Blend into a thick, smooth soup, adding more broth if you would like it thinner. Serve with a drizzle of chili oil and a sprinkle of red pepper flakes (if using). Recipe excerpted with permission from Eat Your Way to a Healthy Gut by Dale Pinnock, published by Quadrille September 2017.